Let's play our weekly game for a $10 code to Connie's store! 1. 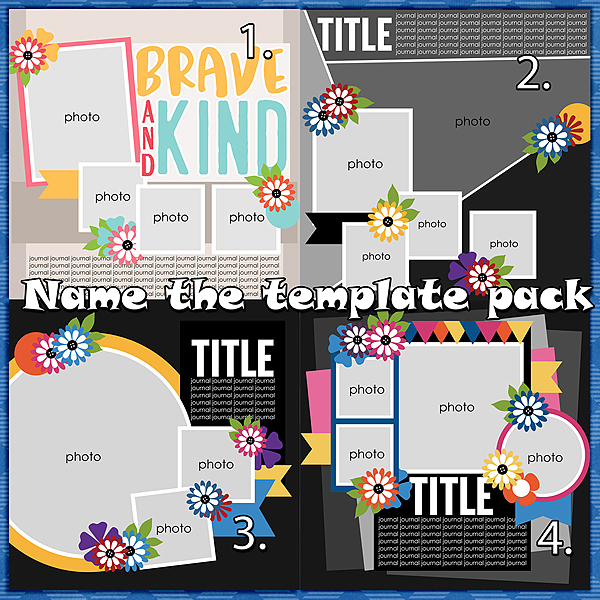 Go to Connie's store at Gingerscraps and look at pages 10 and 11 (set to 50 products) for the template packs I used. You have one more day to grab Connie's March Grab Bag! 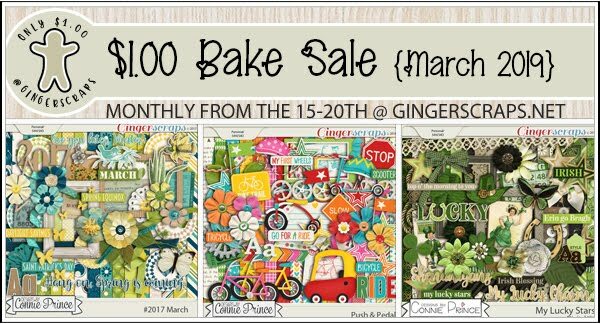 Today is the last day of the Gingerscraps Bake Sale!!! 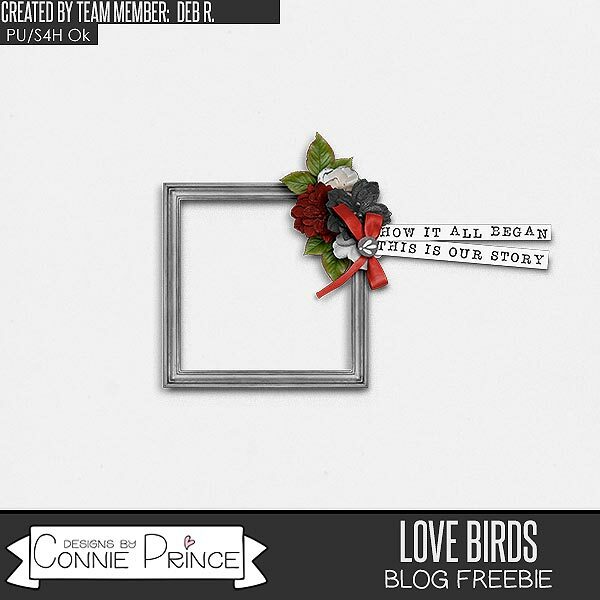 If you have been eyeing a few on Connie's Kits, now is a great time to stock up! Deb R used Love Birds to make you this cluster frame!